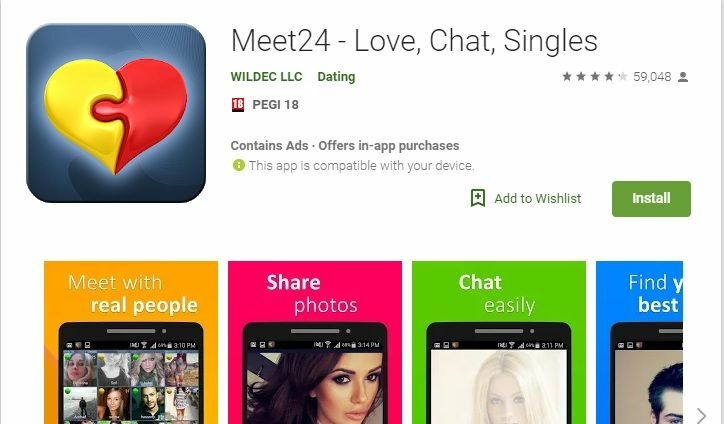 Meet24 is another dating application which you can use with your Android OS devices. However there are too much complaints about application for fake accounts on Google Play but there are still real ones too. There are some of lack of features on the app such as you can’t remove uploaded image or you can’t delete your account on the app. Once you have uploaded your image, it will stay there forever. It seems application developers don’t provide support for their users at the moment. 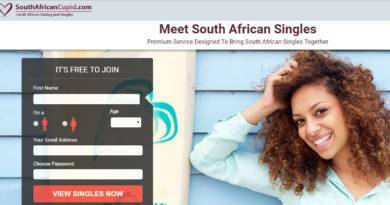 The app is free and unfortunately free dating apps has many scammers and fake accounts. 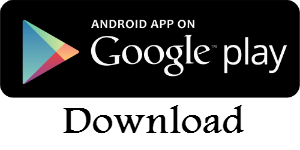 If you would like to download this application, you shouldn’t care much about privacy or security. Since you won’t able to delete your images and profile in an application with full of scammers and fake profiles. You will able to text chat with people on this app and find people nearby. You can also share pictures of you. Meet24 is a good application with its features and it’s a good dating chat app for Android mobiles and tablets. However there are many security and privacy issues with the application. There are many fake accounts on the app and it’s not moderated well by site developers. Update in 2019: Developers have some updates on the application which we really like. Fake account issues are not that much at the moment. Please see the review below for more information. These are some good features that we loved on Meet24. You can send video messages with Meet24. You can upload pictures to your profile. Find people who are close to you. You can find people with distance search feature. You can download the app free. There are social networking and dating features. You can also exchange pictures with other people on the website. New: App developers has made good change on security and privacy options. It is now more safer. New: It is good to see that staff’s decisive fight against scam and fake profiles. There are many fake account profiles. You can’t delete your account and pictures. They will stay there forever. There are also some technical issues with the app. We have improved the negatives of this review due to feedbacks on Play Store and App Store. We also seen that customer care is now more active on both applications. Our team has also noticed that developers are fighting against scam and fake much better than old times. How to Chat Online Team congratulates their decisive movement on their product. There are still complaints on these issues but we believe that there is a serious improvement in the application. Put microphone back on the keyboard. With the update it took that away.